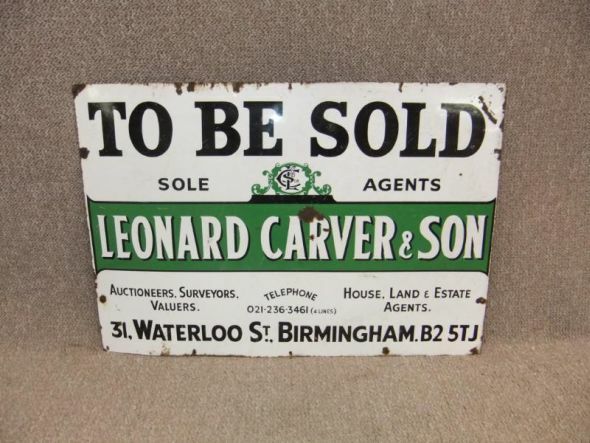 A fantastic example of a classic vintage enamel sign, depicting 'Leonard Carver & Son'. This sign is in good condition, and dates from approximately the 1940s/1950s. This company is still going today in Birmingham. This original vintage enamel sign is a fantastic feature for a country kitchen or retro interior. This is one of two signs that we have for sale.